Two days ago, PM Erdogan threatened to ban Twitter. Hours after his threat, Twitter was banned in Turkey (or if you listen to the words of Erdogan’s advisors, Twitter is not banned in Turkey, just access to it is blocked). In his threats to ban the microblogging site, Erdogan said that “We’ll eradicate Twitter. I don’t care what the international community says. Everyone will witness the power of the Turkish Republic.” In other words, Turkey is well aware of the ban’s impact on the country’s reputation – it is not ignorant, it just does not care. For the Turkish state (and the majority of the population), the capacity to ban a popular communication platform is more important / is better power projection method than having respect for individual freedom. We tend to think about Turkey as a Western country – at least certain segments of Turkish population and of academia. Born and raised in Turkey, my life has been very similar to what I had when I lived abroad in Wroclaw, Stockholm, Boston, or Washington, DC. But if you follow the dominant social discourse in Turkey, it shows the characteristics of a conservative Muslim society, where being a good Muslim is more important than being a good bureaucrat to get elected. The head of state becomes the head of your family. The state is known as “Devlet Ana” (Mother State). One of our most prominent political figures, Suleyman Demirel, was known as “Suleyman Baba” (Father Suleyman) during his tenure as the PM and the President of Turkey. Let’s look at Erdogan. He is a prime minister that has an idea on anything from how to bake bread to how many children one should have. During an April 23rd tradition where he left his seat to a fourth-grade, Erdogan told the little girl that she was the prime minister, she had all the authority, she could do whatever she wanted. This has been the mindset in the country for a long time. Political power practically came with the opportunity (no – the requirement) to meddle into people’s personal lives. (Let me give a pre-Erdogan example. During the time when the military was influential in the Turkish political life, they had an idea about what headscarves meant to individuals, and where they should be worn. And we loved it! Just like we love Erdogan and how he knows whether we should smoke or not). Here is an “over” simplification of the Eastern and Middle Eastern cultures: we love strong figures, we worship power. If an individual is powerful enough to do things s/he (who am I kidding? no need for s/he. We know that individual is a he) is not supposed to do, we love them even more. A military general that wants to take over power? Sure, we love him. A prime minister that wants to block Twitter? We love him. And we stop loving them if we sense that they are getting “soft”. Then we start seeking the new strong figure. Let’s look at Erdogan’s greatest moments, let’s look at the times when his supporters demonstrated their commitment to him. One minute incident, Mavi Marmara, Gezi Park. These are the moments where Erdogan went out of his way, risked alienating his Western allies to get his message across. He proved that he was strong and did not care about what others thoughts. He was ready to do the moral thing: silence a “murderer”, help the Palestinians, fight the “terrorists”. It is high time we understand that Turkey is not a Western society. Turkish model is not a Western democracy – it just helps people to elect somebody who will totally disregard other aspects of a democratic system to do whatever he thinks is necessary for the good of his people. Erdogan banned Twitter because that was the “moral” thing to do and he could do it. His enemies – the enemies of the state – were using Twitter to destroy his country, so he proactively saved us! (That is at least what he believes and what he will tell the world). Overall, some might think the Twitter ban is going to tarnish the Turkish image and destroy the confidence in the viability of the Turkish model for the Middle East. I disagree! 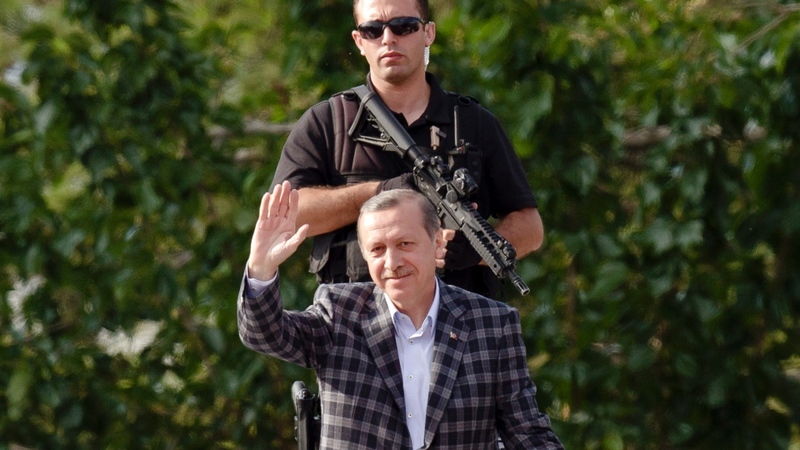 The Turkish model has always operated around an elected strong figure doing whatever he believed was moral. This is the Turkish version of “taking over Crimea” or “liberating Iraq”. Erdogan is protecting his people. This is not the end of the Turkish model, this is the Turkish model! Disclaimer: I sincerely hope the society reacts to the ban in the upcoming elections. However, given the fact that Erdogan supporters not even use internet, the ban is likely to further disturb the segments of Turkish population that are already highly disturbed by Erdogan’s policies. Moreover, his supporters believe that there is a world-wide conspiracy network that provide montage audio recordings (and apparently soon enough video recording) to destroy Erdogan’s – the best leader of the world – credibility. Erdogan is unlikely to lose the upcoming local elections. If he emerges as even a stronger political figure from the March 30th elections, I will start looking for a new home country.